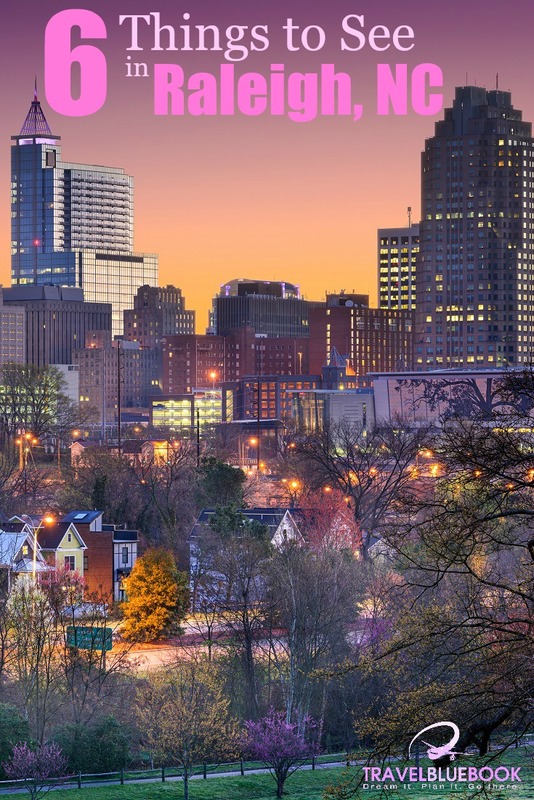 As North Carolina’s state capital, Raleigh is a fast growing city that attracts people from all walks of life. If you’re seeking Southern charm, the City of Oaks certainly delivers. With beautiful Victorian architecture, a rich history, and a vibrant cultural scene, it’s an excellent place to enjoy a relaxing and educational trip. There are points of interest for visitors of all ages, including museums, quaint shopping districts, stunning historic homes, and much more. Here’s what you have to see in Raleigh, NC! While a cemetery may seem like an unusual place to make a stop, this one is particularly significant. As the final resting place of thousands of residents and non-residents alike, Oakwood allows visitors to explore history and pay respects in a beautiful, peaceful park-like setting. Founded in 1869 as a burial site for Confederate soldiers, today it spreads more than 100 acres and includes the graves of many notable political figures. Check out the Southeast’s largest natural sciences museum, featuring four floors of interesting exhibits. There are live animals, interactive activities for children and adults, and a 3D theater. The North Carolina Museum of Natural Sciences is consistently rated one of the top attractions in Raleigh. It won’t take you long to tour the grounds of the Executive Mansion, but it’s worth a quick stop. Built in the late 1800s in the Victorian gothic style, this sprawling mansion currently serves as the home of the Governor of North Carolina. There are limited tours given of some areas of the interior, but you can wander around the gardens for free and take in the beauty of the building’s exterior. If you’re ready for an outdoor adventure, take a hike along the Neuse River Trail. Here you can enjoy all kinds of activities, from kayaking to biking to canoeing to fishing. Take in scenic views along the boardwalk path, including waterfalls, and a variety of local wildlife, flora, and fauna. When visiting Raleigh, NC, with the family, you’ll have to make time for a stop at the Marbles Kids Museum. It lets the little ones have hands-on fun with cool interactive exhibits like Splash, Art Loft, and Around Town, just to name a few. Admission is only $5, making it an incredible value for families. Once you’ve built up an appetite and are ready to do a little dining and shopping, head over to the Historic City Market. It’s been a go-to spot since it was established in 1914 for those seeking fresh food and a variety of unique items. Enjoy a stroll along the cobblestone streets, and during the summer season, check out the outdoor farmer’s market stalls. There’s often live music, vendors selling arts and crafts, and plenty of cafes for you to stop and sit for a while. It’s the perfect place to grab a bite to eat in downtown Raleigh. As you can tell, Raleigh, NC has a lot to offer visitors and locals alike. From top rated museums to beautiful parks to a charming downtown, the City of Oaks does not disappoint.